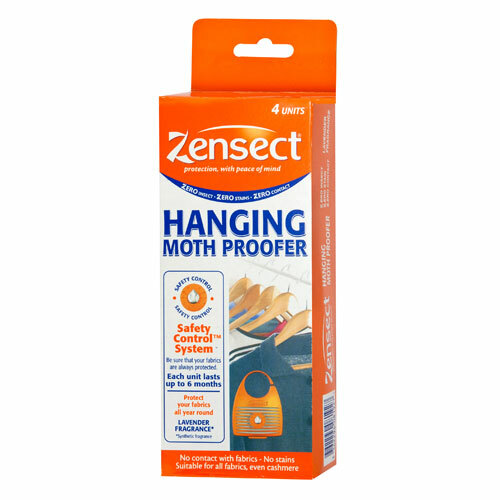 Zensect Hanging Moth Proofer (4 Units) eliminates all clothes damaging types of moths, larvae and eggs - each unit last for 6 months! 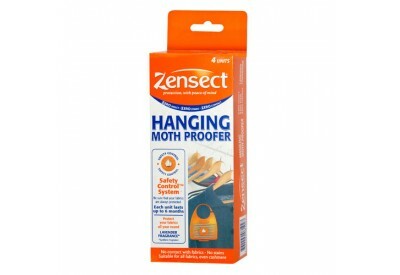 Zensect Hanging Moth Proofer are easy to use: The hanging container is designed to ensure that there is no direct contact between your clothes and the active unit material. Each active unit is packed in a hanging container, meaning there is no contact with your skin.